Bye bye National Trust, Hello National Trust for Scotland! I’ve just cancelled my National Trust membership and have signed up to the National Trust for Scotland. Let me explain why and you might find that it would suit you too. Or maybe it wouldn’t. The National Trust does quite a lot of good things but I’ve never felt very sympathetic to its philosophy. I certainly don’t think that the NT is a terrible organisation, in fact I think it is quite a good one, but, as I say, I’m a long way from feeling at home with it. And that makes me uncomfortable because my membership costs a fortune and I don’t recoup that value in savings most years so a lot of my money is, in essence, straight financial support for NT. The recent membership vote over trail hunting went the way I didn’t want it to go – which is just tough really you might say – and that didn’t make me feel more relaxed about my financial support for NT. And then last week NT unveiled their complex compromise on grouse shooting in the Dark Peak. Instead of having driven grouse shooting in lots of places, they are having driven grouse shooting in one place for another five years and walked up shooting and shooting over dogs on other bits of land. I’m a nature conservationist and I aim to get driven grouse shooting banned as quickly as possible because it is underpinned by wildlife crime and depends on management that is environmentally damaging (sign here if you agree) so I was rather hoping that NT was going to send driven grouse shooting packing on its land. So I was disappointed by that decision too. But the NT position is ‘We appreciate the importance of rural traditions as part of the spirit of many of the places we look after. We allow field sports to take place on our property where traditionally practised, provided they are within the law and compatible with our principal purposes of conservation and access.’. Nature conservation does not need country sports based on killing animals to be successful – no-one can tell me that a bit of trail hunting or grouse shooting increase NT’s performance as a nature conservation body and so I just feel that NT is bending over backwards to retain fieldsports on its land when it doesn’t have to. Indeed, in clinging to the past, NT has become part of the problem rather than part of the solution and I don’t want to be paying for that. What others do legally on their land is largely up to them, but the NT is spending my money in ways that make me uncomfortable and which are not necessary for the conservation work which I wish to support, so I think I’ll take my money back. The NTS has a reciprocal arrangement that means that I have access to NT sites through my NTS membership – and NTS is cheaper so I’m saving money. Grouse – we manage part of our Mar Lodge Estate to provide walked-up grouse shooting. This is currently under review to ensure environmental impacts are minimised. Pheasant – we have no pheasant shooting at NTS properties. Red deer – at a number of our properties we cull deer to manage their impact on other aspects of natural heritage. Culling is always undertaken for conservation reasons, but we do accept paying clients to assist in this. Fox-hunting – we do not have traditional fox hunts at NTS properties. This includes trail hunting.’. What a difference in approach. And what a clever idea of yours. It does seem as if Scotland is leading the way in conservation and animal welfare. I've not been a member of NT for many years but it has made a pig's ear out of fox hunting and I won't be rejoining anytime soon. I joined the John Muir Trust instead. "We appreciate the importance of rural traditions as part of the spirit of many of the places we look after." What a nonsense: hiding behind the Quebec Declaration on the Preservation of Spirit of Place to defend the indefensible. The spirit of a very large number of National Trust properties are a product of traditions of slave keeping, colonial pillaging and exploiting tenants and commoners. Very few would advocate these should continue because otherwise the traditions would be lost. The excuse directly contradicts their ground breaking Bateson report, which concluded that the cruelty of Stag hunting had to take priority over its value as a tradition. Mark, I’ve been advocating this course of action for ages, but as usual your arguments are so much clearer. I cancelled my membership some years ago for very much the same reasons you give, although I did not know about the exact problems of DGS until I read your book. I always felt uncomfortable belonging to an organsiation that seemed to spend most of its time and effort on maintaining the houses that once belonged to the rich landed class(some are still occupied by gentry), as well as their pursuits rather than on nature conservation. As David Hodd states above these houses and pastimes were supported by the blood and treasure of the poor. Until recently the NT did nothing to reflect this and then only reluctently, when pushed. Good analysis and action Mark, total no brainier! I’ve done a lot of supportive work and a few contracts for NT in Lakeland over the years but never felt comfortable with becoming a member, but NTS sounds appealing now that you have pointed out the crucial differences. N.T. Statement re allowing traditional field sports within the law is a massive failing as they are blatantly not doing this with the current stance on trail hunting. This feels rather hipocritical. If you don't approve of the Trust, boycott their places. If you join NT Scotland the NT still get a credit each time you visit, so you're still supporting them. Plus will you refrain from buying a cuppa when you're there too? Kevin - my use of NT sites is mostly to park my car at the coast actually. I don't feel it's hypocritical to support part of an organisation which is more in tune with my thoughts regarding fieldsports and land use (and car parking facilities). Unfortunately the NTS is undergoing radical reform, broadly speaking they are moving away from conservation towards entertainment. 80 members of staff are currently at risk of losing their jobs. Once they get rid of their conservationists then their conservation policies will be next. Andy - please do buy my books - but this does mean filling up your house with multiple copies as the membership is annual. That's fine by me! Ranger service is getting axed at the majority of properties at the NTS, if you can't build a play park then they are not interested. You have just left one shower of B@$t@r65 for another. John - well at least this shower, if so they be, are cheaper and haven't got as many people rushing arund on their land killing wildlife. Was the ranger service financed by SNH like most shooting estates that have them ie Balmoral? What do you think of their approach to managing farm land Mark? I was interested to read the brief piece in the latest NT mag about how they are supporting their tenant farmers to reduce stocking rates on upland farms. The NTS banned fox hunting in 1995 which is when we switched. And as you point out it's cheaper but the reciprocal arrangements between trusts means you can still visit NT properties (should you wish to). It's true NTS is undergoing change because of financial constraints but if more folks switched then their finances would improve and perhaps the changes would not be as radical or even reversed. It's strange times indeed when an organisation can take pride in banning criminal activity on its holdings! What will they ban next - sheep stealing or cattle rustling? But they are entitled to take pride in having banned it before it became illegal, are they not? But I don't see any mechanism for enabling that to happen. Care to give us a summary, for those of us who do not want to pay towards Murdoch's empire? I notice that Murdoch's empire is quite a bit bigger than the National Trust, but you won't ever find an article in the Times calling for it to be split up. "Essentially the trust does two very different tasks: running a lot of historic visitor attractions, and caring for many of the nation’s most precious landscapes and coastal areas. They require entirely different skills and approaches. The historic properties together constitute a nationwide “museum” with more treasures than the British Museum and V&A combined. It should be run by people who have excelled in the museum field, who properly understand the significance of what the trust possesses, and who can enthuse, educate and entertain without patronising those who visit the properties. By contrast, the landscapes, woodlands and coastlines are far from being museums. Millions use them recreationally, but they also need to be farmed, managed, conserved and developed in ways that best demonstrate what the countryside can provide for 21st-century Britain and how we can lead the world in good environmental practice. The person running that side of the trust’s work will need acute political and social antennae as well as a first-rate understanding of ecology and rural life." I wonder what the real agenda is, here? Does NT contract-out facilities management? They must use private sub-contractors, but my guess is they directly manage (most of?) their properties? Your argument is sound but not very well thought through. You are advocating that members leave NT join NT Scotland and still enjoy the facilities offered by the NT. What a selfish way to make a point. The correct way would be to continue to support a superb organisation and lobby for progressive change as a member. I wish you well with your support for NT Scotland andhope the NT close the anomaly of Scottish members having free access to NT. Paul - your argument is unsound but thanks for making it anywaty. If I thought the NT were suoperb I wouldn't want to leave it. And if it were superb I wouldn't need to lobby for change. Access to NT for NTS members is not 'free'. The arrangement is reciprocal. "I wish you well with your support for NT Scotland andhope the NT close the anomaly of Scottish members having free access to NT"
It is not an anomaly at all. All members of INTO have some sort of reciprocal arrangements in place. I think NT Jersey are cheaper still. You visit Jersey and you can use whichever membership card you have to explore those places too. The best alternative solution for getting free access to NT properties (which is definitely worth it) is in fact to do 40 hours of volunteering for them. Do that and you get free parking and a discount in shops and tea rooms. Plus you are positively influencing their work. b) according to a friend of mine, the NT's centralised systems takes months to issue volunteer cards (whereas as RSPB are pretty quick). "do 40 hours of volunteering"
It would be much cheaper to pay the subscription. I imagine that most of their volunteers do it because they enjoy it, feel they are doing something worthwhile with like-minded people and so on rather than simply as a means of getting free access to stately homes. Isn't it up to everybody to chose where to spend their money? I stopped my membership and my wife's membership (she wanted me to) a couple of years ago because of driven grouse shooting on NT land but will now join NTS. I have to say it. Whilst I think the National Trust do a lot of good work in the UK, the Scottish National Trust are a FAR friendlier and much more pleasant organisation to support. As pensioners, it's a simple choice. SNT give us a discount. NT England do not. NT try to flannel through this by telling us how wonderful they are. Wake up NT England. WE vote with our wallets! "As pensioners, it's a simple choice. SNT give us a discount. NT England do not"
This is not true. 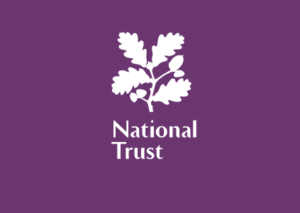 As a qualifying couple we get 25% (£27.60) discount on the National Trust full adult rate. NTS apply the senior discount to husband and wife as long as one partner is of eligible age, NT does not and you have to have been a member for a requisite number of years. As far as I know the reciprocal arrangement does not allow “free” parking at NT properties but, in my experience, the parking fee is reimbursed if you subsequently use the NT tea shop. Another attraction of NTS is the ability to pay subscriptions monthly by direct debit. I never paid into the NT but volunteered for them for 22 years doing conservation work and made occasional donations. Last year I could no longer regard them comfortably as an entirely reputable conservation organisation, as they had in my opinion tacked too far towards the Daily Telegraph vision of conserving wildlife to be killed for so called sport. Their shabby behaviour over hunting with dogs seems particularly disreputable, with them now licensing the Warwickshire Hunt for example. So I now volunteer with my local Wildlife Trust, and donate to other organisations. I think your idea is great for those who particularly want to visit Trust properties but don’t want to facilitate an organisation that is sucking up to blood sport interests and turning a blind eye to their harmful, duplicitous and disreputable ways. When my wife and I moved to the lakes back in the eighties to farm tourists, it seemed only right and proper to support the NT who did so much good work up there. We have been members ever since but that will stop this year due to their 'traditional beliefs'. We could have stayed and fought for change from the inside, as suggested above, but that approach didn't work while members of HOT and I can't see it working any better with NT. Our money now goes to LACS. One problem I have with NTS is their belief that if something has to be culled, you may as well make money out of it. Deer do have to be culled because humans have cocked up the system, but when this is done, it should be by a highly trained marksmen to limit injury and stress, not by an occasional rich shooter to satisfy bloodlust. Should also go without saying that the venison be fed into the food chain having been shot without the use of lead. I'm sorry but a family membership is £114. If you think that that is easily affordable for most families I have to disagree - it certainly isn't for my family. This level of subscription fee must go some way to explaining the demographic of NT members. As someone who lives in Scotland but is a member of the National Trust I am disappointed that so many people who live in England are members of the National Trust for Scotland simply to save money and then search for reasons to justify their actions. I am completely in favour of banning driven grouse shooting (tho' not walked up) and I am completely against toothless NTEngland allowing foxhunting (under the guise of trail hunting) on their lands. They refuse to answer questions regarding investigation of trespass and consider themselves above any questioning procedures. If an NT member visits (or is recruited by) a pay for entry property, then some of the membership fees find their way to the property. I don't think there is any mechanism that allows NTS membership fees to be forwarded to NT in this way - it would probably breach charity regulations. The reason people on here are moving or thinking about moving is not because it is cheaper, the saving is a bonus. Ironically, it would have been far more comfortable for NT to have been brave over this - and they would have done the Grouse shooters a considerable service in the process, a real wake up call from an organisation that is basically friendly towards them. They probably wouldn't even have suffered much pain in the process: the previous tenant seems to have gone quite quietly and bearing in mind the willingness to go to law (eg Walshaw Moor) it suggests that there were stones they did not want uncovered. Instead, NT is going to suffer a slow drip drip of criticism as further offences go on in the Peak - and who will ever know who was responsible as keepers don't seem to have much regard for ownership boundaries in the NP ? There is a real identity crisis in the Trust, and it's been there a long time: remember Helen Ghosh actually came out and said what everyone was thinking - that most people bought membership just to get free visits. But, morally, is that a good reason to abandon the principles on which the organisation was set up ? And is it still a charity if its mainly a visitor attraction ? And what about the activist element, however tiny ? Blog readers may be bemoaning the first-past -the- post failure of the trail hunting vote - but if the chair & DG of the NT are doing anything other than shaking in their shoes they really are out of it. £64.80 a year for an individual is pretty steep, frankly - significantly more than RSPB or a WT. I think it reflects the fact that NT's instinctive focus is on the big houses and people who will pay to visit them, with nature conservation a poor second. So the same is true of the calculation potential members make; if they like visiting big houses every month they'll probably save money on entrance fees, if they just want to park in the countryside; not so likely. I've long thought of NT as being the charitable arm of the squirearchy. Like the estate owners, they sometimes do really valuable nature conservation work, but keeping the estate and its big house going is always the priority in the end. They're very conservative (small c) in their outlook, valuing tradition over innovation. They have done some outstanding social inclusion projects, but they haven't mainstreamed that best practice as much as they could have done. That Land Agent culture is reflected in the way they often see their holdings more as sources of income than as (potential) nature conservation assets, in the way they pay their front line staff peanuts, the culture of many of the more senior staff I've encountered, and their support for "traditional" things like "country sports" rather than landscape restoration. Don't get me wrong, I think NT do some great things for wildlife sometimes, and anyway I also happen to like visiting country houses and gardens occasionally, but I haven't thought of NT as a nature conservation organisation for a long time. So if I can get the access to the houses and gardens that I want and save money - well why not? And if I want to give to a good cause, well that's why I'm a member of other more explicitly nature conservation organisations. If NT want to be seen as a legitimate "good cause" for people interested in wildlife, it needs to start behaving more like one and prioritise wildlife over maintaining the social status quo. It can't have it both ways. This is interesting: "We appreciate the importance of rural traditions as part of the spirit of many of the places we look after"
How many of the wonderful old properties get their chimneys swept by 8year old sweeps- such a wonderful tradition that accentuates the spirit of the Victorian times? Paul - I’m struggling am I? I haven’t encouraged anyone to leave, I’ve just said what I’ve done. When I buy organic food, which I regularly do, then I usually pay more to eat food with green credentials. When I sign up to green energy, which I do, I seem to pay more for harming the planet less. But rather wonderfully, I’ve discovered that when I visit NT sites I can pay less than I thought and my money goes to an organisation with credentials which are greener in respect of the issue that is putting me off NT. And NT cooperate with this scheme. Forgive me, I’m not struggling. Reciprocity is not freeloading. Choosing to join NTS rather than NT and vice versa supports assets across the UK which are open to members of both Trusts. Only a particular brand of Little Englander would insist that English residents be restricted to NT when conscience rules otherwise. What you call the 'principle' that our host should not visit NT assets is really the suggestion that there is some kind of silly treason involved in what he is doing. We are not going to cancel our membership. The Trust run some great places for wildlife eg Cape Cornwall for chough and Wicken fen. However, we are really pissed off with them regarding the fox hunting vote and the mess they made of the grouse shooting on their land in the Peak District. A complete ban and subsequent improvement to the moor could have been used as an example of how to manage and improve the wildlife there. It will not take much to tip the balance in the other direction and we will cancel. Let's be honest it's not the National trust for Scotland. Its National Trust for the old boys. I think we should protect these sites like Iona Abbey but we should have Right to roam in Glencoe and Ben Lawers areas. Run for their selves not for the people. Well done - it’s something worth publicising more. NTS have an awful lot to cover, and a smaller population to back them doing it. You see loads of NTS car stickers in the NT hotspot of the Lake District, and they’re not all holidaying Scots - they’re thoughtful English supporters. I've done exactly the same. Cancelled my renewal direct debit to NT which runs out end of March and come the end of March will be joining NTS. We do also holiday in Scotland virtually every year so card will get used there as well as England. Just joined NTS and allowed my NT membership to lapse. Has anyone found a way of telling NT why they've done this? NO... YOU get your facts straight. NT England only give a discount to pensioners if they have been members for 5 years. How nice for the more wealthy! What IS so ridiculous is that the smug NT Swindon HQ seem perfectly happy to totally ignore the many requests from pensioners, who WOULD join if NT management took their fingers out of their corporate ears and backsides, and woke up to the fact that they are losing a huge amount of potential income by not giving an automatic concession rate to new, joining, pensioner members. Perhaps their new lady CEO would like to comment? Or better still implement it. Until they do, we will stay loyal to NT Scotland. And YES, bloody right it's about money. We aren't all well heeled. My National Trust membership subscription is due soon: I have cancelled the Direct Debit. Could anyone confirm whether when visiting ENT properties, areas ect, A NTS membership will also mean the car parking is free? I have read all the arguments on here and to be honest I don't care. I will join because its cheaper. Although I don't particularly support fox hunting, grouse shooting I think most objectors are hypocrites anyway. They will get up, drive miles, protest marches and all for a fox who otherwise will be poisoned. Where are they when literally thousands of animals are having their throats slit while fully conscious in Halal abattoirs up and down the country. Bradford council are, at this time allowing un-stunned meat to be served in their schools to all pupils. I don't see any protesters outside, just back from the save the Fox/Grouse,Badger club. So....anyone like to answer the car park question?